Before the month of July is over, let’s fit in at least one patriotic photo! 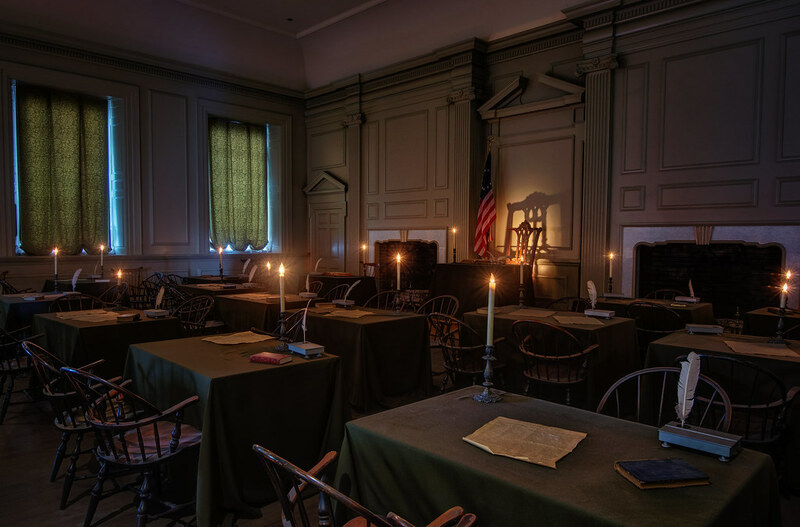 Inside the replica of Independence Hall at Knott’s Berry Farm, you can watch this show depicting the founding fathers discussing the signing of the Declaration of Independence. Well, not watch so much as listen — you mostly just hear their voices while you sit and look at the flickering of electric candles, and a couple bolts of lightning outside. This entry was posted in Knott's Berry Farm and tagged dark show, Declaration of Independence, HDR, Independence Hall, Knott's. Bookmark the permalink.